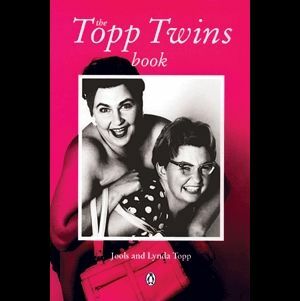 From the Back cover: Jools and Lynda, The Topp Twins, are pleased to bring you their very first book. The talented duo acquaints us with their childhood on the farm, leaving home and their early breaks into the music scene. Then, their best-loved characters, Camp Mother and Camp Leader, the two Kens, Raelene and Brenda and the Ginghams, to name just a few, take over. Camp Mother and Camp Leader offer fashion advice. Raelene and Brenda tell you how to go from being proxy to foxy with their make-up tips. Ken Moller offers advice on everything from catching fish to catching women. And the Ginghams shed light on New Zealand’s great tradition of spoon collecting… in addition to hilarious poems, recipes, games and quizzes. The twins manage to wrestle back control of the book in the last chapter and tell us about life on the road, their international success, being gay, yodeling, and their Mum and Dad. Always a pleasure to listen to, cultural icons in New Zealand for over a decade, the Topp Twins have also taken the rest of the world by storm with regular sell out performances in the USA, Canada, Britain and Australia. Musicians and comedy-theatre work, with a gift for crafting song, spontaneity and stories, they are consummate performers. They have won acclaim for their television work and won many New Zealand awards. Their material is drawn from country roots and political awareness spiced with humour, visual comedy and yodelling. They love audience participation. Their natural exuberance is simply contagious, alternative to mainstream, they are received with enthusiasm and rave reviews. Their ability to make you laugh at yourself, to make light of day to day life, and to be true to yourself is what they live by and many more admire in the Topp Twins. This entry was posted in What moves me, YA Literature and tagged Literature, Topp Twins. Bookmark the permalink. That cover on the PB is ADORABLE! I know, can’t wait for it to come out… 🙂 Enjoy the clips… you will laugh your socks off! Yes, the clips are fun! 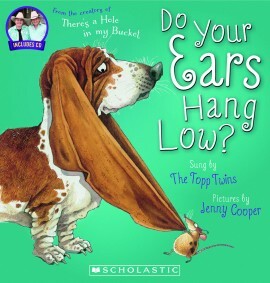 Listened to the Topp Twins and they really are unique. They aren’t afraid to take anyone on!Thanks for also sharing the video links. Their accents remind me a bit of country western — but is it a NZ accent? Great share. lol… they are huge fun. Maybe one day. You will find them on youtube. They are great! What incredible talent. They do have an incredible talent, Darlene. Thanks for stopping by.